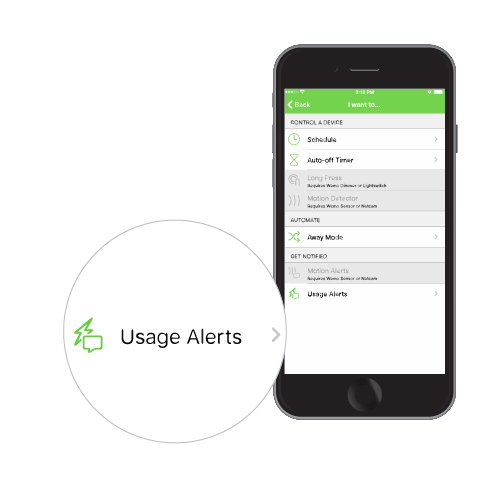 One of the special features of the Wemo® Insight Smart Plug, F7C029 is its Usage Alerts. With this option, you can create a rule when power is sensed (either ON/OFF) or power is ON for a length of time (hrs/min). Also, you can monitor how long a device has been ON/OFF for a specific time duration. For example, you can monitor how long the TV has been ON or how long a game console has been OFF. 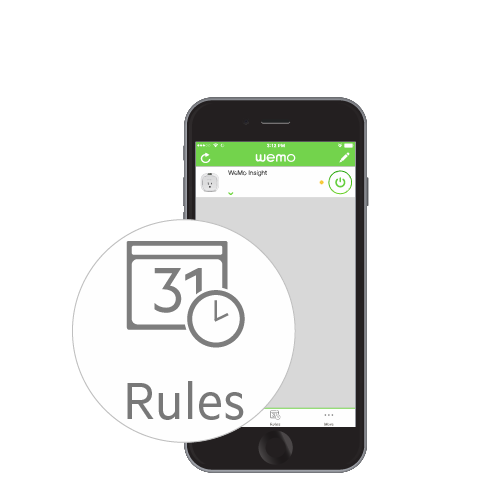 Step 1: Launch the Wemo App then tap the Rules icon. 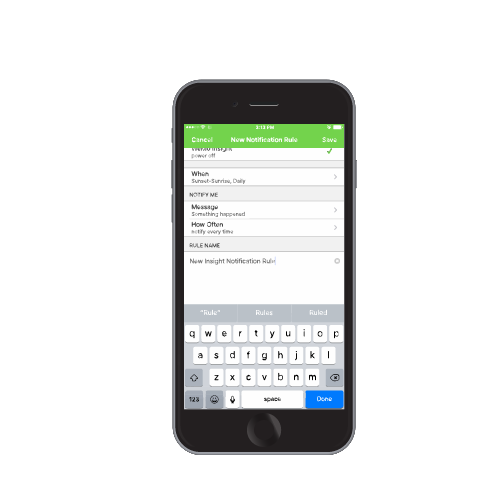 NOTE: If there’s already a rule created, tap the + sign at the upper right corner of the app. Step 2: Under GET NOTIFIED, select the Usage Alerts option. NOTE: In the example below, power off is selected. Step 4: Tap When to set the time duration you want the rule to run. All Day - Turn this ON to choose a specific day/days or turn this OFF to choose by time or by sunrise/sunset. 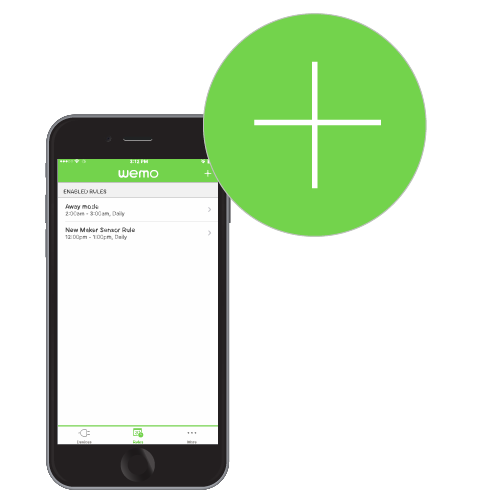 - Choose the Sun icon to have your Wemo use the Sunset and Sunrise for your area to control the rule. Tap on Time and choose the time you would like the rule to follow then tap Done. When using the Sunrise/Sunset option, you can choose to have the rule trigger exactly at the Sunrise/Sunset or before the Sunrise/Sunset. Step 5: Under NOTIFY ME, tap on Message. This is where you can set what message you want to appear each time you receive a notification then tap Save. Step 6: Under NOTIFY ME, tap on How Often. 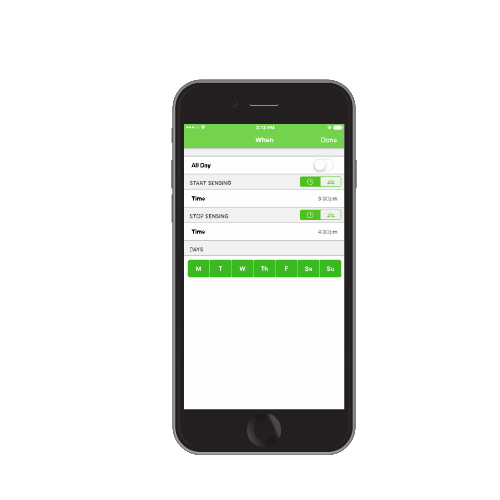 Select how often you want to be notified. 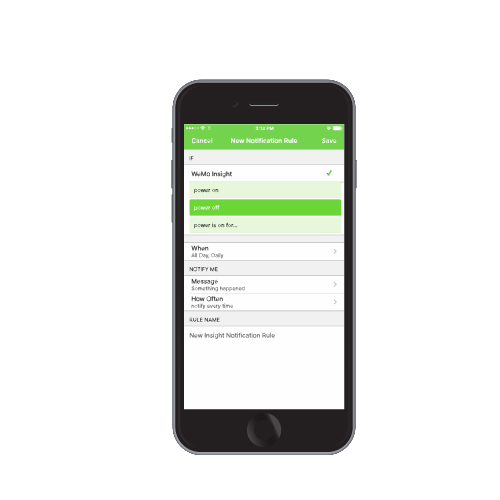 Step 7: Under RULE NAME, create a rule name to identify the new rule you created and then tap Save.